From time immemorial, humans have yearned to know what lies ahead. Setting the context is a three thousand year romp through the ‘history of the future’ illustrating how our forebears tried to influence, foretell, or predict it. Examples extend from the prophets and sibyls, to Plato and Cicero, from the Renaissance to the European Enlightenment. By the Second World War scientific attempts to predict the future were being developed by the US military-industrial complex. By the mid-20th century, future methods were mostly concerned with State planning and war scenarios in the USA, the USSR, and Germany, extending into the Cold War period. Anyone who thinks deeply and looks beyond their own personal interests will see a large number of global challenges, as volatile, unpredictable futures rush towards us. The twelve clusters of issues span three interdisciplinary domains: environmental, geo-political, and socio-cultural. A mind-map includes current trends likely to create major problems for the futures of humanity. A second mind-map details numerous alternative futures we can create. These counter-trends, twists, and surprises offer enormous potential to mitigate, disrupt, or reverse the dominant trends. They enable readers to imagine and create alternatives to the disturbing trends being forecast and broadcast. For brevity this piece prioritises the environmental domain, as it is fundamental to human existence on this planet. We have known for decades that the entire ecosystem of the earth is under severe strain. Our ecosystem, energy systems, and climate crisis are clearly interconnected. Health is integral because healthy human futures are so reliant on how we deal with the future of our earth, its atmosphere, biosphere, climate, plants, oceans, and other sentient beings. Although there are widespread concerns about food and water security for an expected global population of 9 billion by 2040, there are some weak signals that citizens want to take back control over their food and water security. Cities seeking to creative sustainable solutions are experimenting successfully with vertical gardens, bush food forests, and urban farms, as part of the post-industrial, creative, and eco-city movements designed to deal with food security. Disturbing energy trends include peak oil and the crisis of fossil fuels, nuclear waste disposal, and overall resource depletion. Some welcome counter-trends include the divestment in carbon fuels and upsurge in renewable energy, the growing awareness of the global need to reuse, recycle, and up-cycle, particularly among young people. In the health domain, new and resistant diseases are emerging, some threatening to reach pandemic proportions. The World Bank and WHO claim there is a global epidemic of depression. Mental health problems such as anxiety and suicide are increasing, especially among youth. Counterpoints to these alarming trends include a renewed focus on healthy communities, futures visioning work with young people, alternative and traditional medicines to complement antibiotics, better sanitation in countries most in need, and, last but not least, global educational transformation. There are three grand global challenges: growing urbanization, lack of (or inadequate) education, and the climate crisis. Although these challenges may seem insurmountable, we have the power to deal with them constructively if we choose to meet them with clarity, imagination, and courage. However, if we choose to keep our heads in the sand, we have chosen not to care about our common human futures. We do so at our peril. Featured image credit: Fractal grid design by PeteLinforth. Public domain via Pixabay. Jennifer Gidley has extensive experience in the futures studies field, combining scholarly research, academic teaching, and leadership of the World Futures Studies Federation (UNESCO Partner). She was re-elected as President in 2013 for a second four-year term to lead 300 expert futures researchers, teachers and professional practitioners from over 60 countries. Jennifer has held academic positions in Australia at Southern Cross (1995-2001); Swinburne (2003-2006); and RMIT (2008-2012); and holds visiting academic posts in Europe. 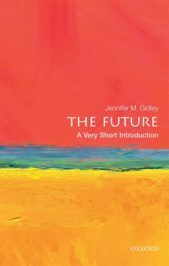 She is also the author of The Future: A Very Short Introduction.